• Resolution: 2592x1920, 2048x1536, 1920x1080, 1600x1200, 1280x1024, 1280x960, 1024x768, 1280x720, 320x240, 352x192, 320x192, 288x192, 256x192. • Overlay: Text / Time Stamp / Watermark overlay on video clips. • G.711 audio μ-Law encoding and decoding. • Support 0-18dB microphone gain controller. • 2Vp-p audio in; 30mw audio output with 6 Ohm impedance. • I/O Port: Audio in x1; Audio out x1; Alarm in; Alarm out; USB prot for storage or 3GPP/Wi-Fi adapter; Micro SD/SDHC; TV out, DC12V out; RJ-45 port. 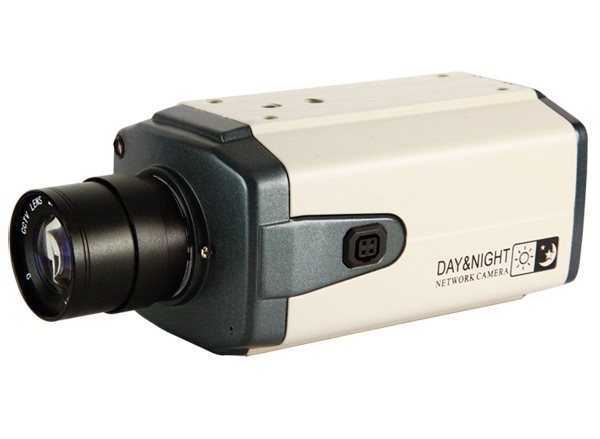 • IR Cut: Built on removable IR-cut filter for day & night function. • Time management: Manual Time Setting; Time Server and NTP support; Real Time Clock. • Event management:Events triggered by Motion detection or sensor with configured schedule. • Event notification: Event notification using FTP, SMTP, Samba server or Digital output triggered. • Update: Support Firmware update.